Restaurants are a part of a highly competitive industry. At any given shopping center there can be several restaurants that serve similar cuisines vying for attention. For many restaurants it’s a struggle developing methods to increase customer loyalty and attract customers while still earning a profit. Therefore it’s important to use tools that help you stand out from the crowd without butchering the bottom-line. The Reward Cards Loyalty Program is a deliciously clever strategy for customer retention and marketing. It’s also a great way for Panera Bread to offer a “discount” without underselling themselves. When purchasing a food item or meal, customers can get their Rewards Card swiped and earn points towards a free food item or meal. 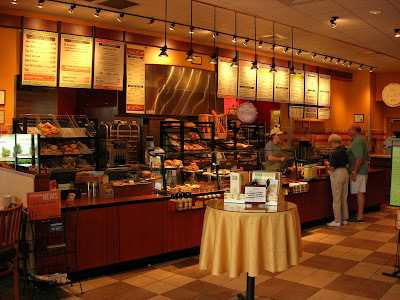 Other rewards include, "Exclusive invitations, experiential opportunities like baking with Panera bakers, preview tastings of new menu items, as well as recipes, cooking tips and surprises such as a free bakery-cafe menu item.” Although, it’s a relatively simple concept, when executed correctly, it can have a powerful affect on customer behavior such as increasing their loyalty. “MyPanera is about showing our appreciation and rewarding you in unexpected and surprising ways,” touts the website, “The more your visit, the more surprises you can get (just when you least expect them)!” Most people associate surprises with fond experiences such as birthdays, marriage proposals, holidays, etc. These events are surprises however they usually are consistent. Therefore rewarding your customers with small treats produce the same excitement and arouse similar emotions. The unpredictable yet patterned nature of the Rewards Card loyalty program keeps customers coming back for more and emotionally connected to the restaurant. Restaurant coupons in publications that are found just about anywhere somewhat resemble gift cards. They are nice but not necessarily memorable or cause the customer to feel as cherished. The Rewards Card is an effective internal advertising tool because customers get the chance to try out new items. 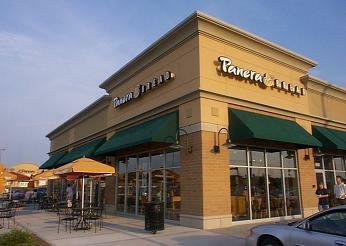 The more menu items that customers like, the likelier that customers will remain loyal to Panera Bread. That free menu item has the possibility of becoming a favorite lunch once she gets bored of her usual meal. The Rewards Card also assists in creating buzz about their products through word of mouth. For example, a customer may rave to her friends about the Fuji Apple Chicken Salad that she received as a reward. Consequently her friends may start eating at Panera Bread in order to try out the food and/or use the Rewards Card to earn delicious treats. Another friend might use the free treat for himself while treating his friend to lunch. The MyPanera website also features recipes. If a customer uses these recipes and her friend inquires about the source that is more free advertising. The possibilities for social marketing are limitless and the Rewards Card presents the opportunities. Interesting concepts are also effective at attracting media buzz and creating more legitimacy within your industry. 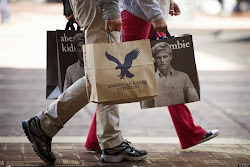 There are blogs that disagree with the loyalty programs and news articles about the idea. The press helps to grab the attention of potential customers and puts you in the spotlight, ahead of other restaurants. The Rewards Card loyalty program helps Panera remain distinctive from other restaurants while adding value to their brand. When you contribute coupons to publications, you are adding value to that publication’s brand as a reliable source to find discounts to restaurants. Businesses that use third-party services, such as Groupon that connect restaurant discounts or rewards to customers, miss the opportunity to interact with customers directly and subtly convey their brand. Also Groupon gets all the glory and branding from the labor of the restaurants. The result of avoiding these techniques and personally offering rewards are customers that feel as if they are part of a community. 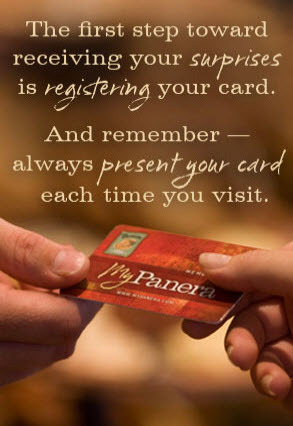 Carrying around a Panera Bread Rewards Card and having your own personalized account has a subconscious psychological effect of making you feel as if you are a member of a Panera Bread club. Moreton explains, “We have been very deliberate over the years in getting to know our customers, which has allowed us to create a highly personalized loyalty program. Panera customers are so connected to the company’s brand promise and values that they expect us to deliver something different, better. We are confident the MyPanera program will be seen as quintessential Panera in the eyes of our loyal customers and be regarded among the restaurant and retail industry’s best.” Once again you don’t want to solely focus on impersonal methods of rewarding customers. That works against your goal. Bill Moreton, Panera Bread CEO and president seeks to achieve the opposite effect with the Rewards Card, “MyPanera is a loyalty program done the Panera way. Our brand has always demonstrated value to be far more than price. So unlike the typical buy 10 get one free type loyalty programs, MyPanera is focused on fostering unique relationships with our customers through deeply understanding how each guest enjoys and interacts with Panera today, and new ways they might like to in the future.” Not only do you want to develop long term relationships with your customers, you also want to avoid regularly undervaluing your product. Even customers that do not participate in the loyalty program indirectly benefit from the data that Panera Bread collects from tracking meal purchases of the participants. The headquarters can track which items are most popular and cater future additions to these preferences. This data is invaluable for gaining insight on the behavior of their customers. The MyPanera website obtains information about your birthday, location, dietary preferences, etc which can help Panera Bread improve the menu & goods to meet the needs of these various demographics. I still believe that Groupon and old fashioned coupons have a place in marketing restaurants even with the negative effects. For example, the same article featured another business owner that was highly satisfied with the boost of customers. Even the Rewards Card has faults that I haven’t expounded on. However I wanted to highlight how you can use an innovative yet simple tool to retain your value while showing how much you value your customers.